Join online now below or to apply by mail please download and fill out the membership application below. 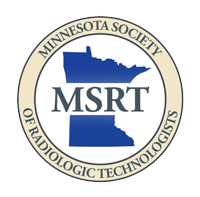 A Sustaining Active Member - $40.00 (USD) Subscription period: 1 year Automatic renewal (recurring payments) Active members are individuals who are currently registered with the American Registry of Radiologic Technologists (ARRT), or its equivalent, as well as hold membership in the American Society of Radiologic Technologists (ASRT). They shall have the right to vote and hold office. They must be currently practicing the art and science of Radiologic Technology. Important note: A copy of your ASRT membership card must accompany your application. A Sustaining Associate Member - $40.00 (USD) Subscription period: 1 year Automatic renewal (recurring payments) Associate members are individuals who are currently registered with the ARRT, or its equivalent and who are not active members of the ASRT. They shall not hold office. Their qualifications, privileges, and obligations shall be defined by the active members of the affiliate society, and shall be relative and restricted to the internal workings and needs of the MSRT. A Sustaining Retired Member - $20.00 (USD) Subscription period: 1 year Automatic renewal (recurring payments) Retired members are individuals who have met the ARRT, or its equivalent, retirement status. These individuals are no longer engaged in the performance of Radiologic Technology. They shall have all the privileges of members except the right to vote and hold office. Important note: A copy of your ARRT registration card must accompany your application. A Sustaining Supporting Member - $40.00 (USD) Subscription period: 1 year Automatic renewal (recurring payments) Supporting members are individuals who are interested in promoting the purposes and functions of the MSRT. They are not eligible for active, associate, or student membership. They shall have all the privileges and obligations of members except the right to vote and hold office. Active - $45.00 (USD) Subscription period: 1 year No automatically recurring payments Active members are individuals who are currently registered with the American Registry of Radiologic Technologists (ARRT), or its equivalent, as well as hold membership in the American Society of Radiologic Technologists (ASRT). They shall have the right to vote and hold office. They must be currently practicing the art and science of Radiologic Technology. Important note: A copy of your ASRT membership card must accompany your application. Associate - $45.00 (USD) Subscription period: 1 year No automatically recurring payments Associate members are individuals who are currently registered with the ARRT, or its equivalent and who are not active members of the ASRT. They shall not hold office. Their qualifications, privileges, and obligations shall be defined by the active members of the affiliate society, and shall be relative and restricted to the internal workings and needs of the MSRT. Retired - $25.00 (USD) Subscription period: 1 year No automatically recurring payments Retired members are individuals who have met the ARRT, or its equivalent, retirement status. These individuals are no longer engaged in the performance of Radiologic Technology. They shall have all the privileges of members except the right to vote and hold office. Important note: A copy of your ARRT registration card must accompany your application. Student - $20.00 (USD) Subscription period: 2 years No automatically recurring payments Student members are individuals enrolled in an approved radiologic technology program. Student membership will expire at the next membership renewal date following graduation or upon discontinuation of the educational program. They shall have all the privileges and obligations of members, except the right to hold office. Important note: Please specify your school and your anticipated graduation date. Supporting - $45.00 (USD) Subscription period: 1 year No automatically recurring payments Supporting members are individuals who are interested in promoting the purposes and functions of the MSRT. They are not eligible for active, associate, or student membership. They shall have all the privileges and obligations of members except the right to vote and hold office.